Sarah Macharia,Shalom Shop Owner,at her shop during the launch of Jaza Duka media launch in Umoja estate,Nairobi County. The event presided over by (not in the pictiure) Dennis Njau of KCB's Commercial Bank Head of Channels,Luck Ochieng,Unilever Sales Director for East Africa and Adam Jones , Mastercard Head of East Africa Region.Unilever Kenya, Kenya Commercial Bank (KCB) and Mastercard launched a project aimed at helping tens of thousands of Small and Medium-Sized businesses stock and sell Unilever’s products across Kenya. The project referred to as Jaza Duka will see thousands of shopkeepers and retailers access and stock well-known products like Blue Band, Omo, Close Up and Sunlight at business-friendly terms. 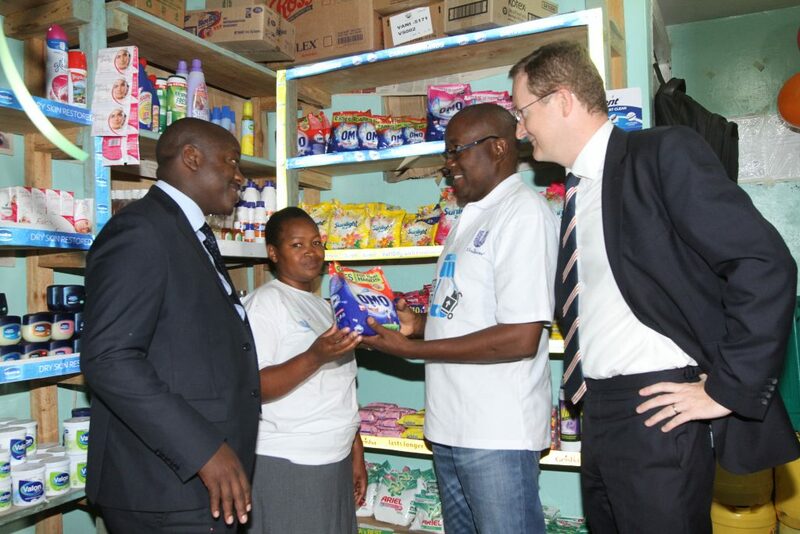 Unilever East Africa, KCB Bank Kenya, and Mastercard have partnered to roll out a programme that helps small retailers to be able to buy Unilever products on credit. The programme dubbed Jaza Duka has enabled small retailers to purchase goods on credit, interest free for up to 17 days. Almost 18,000 small retailers in Kenya have signed up for Jaza Duka, with a planned roll out to 30,000 by the end of 2019. 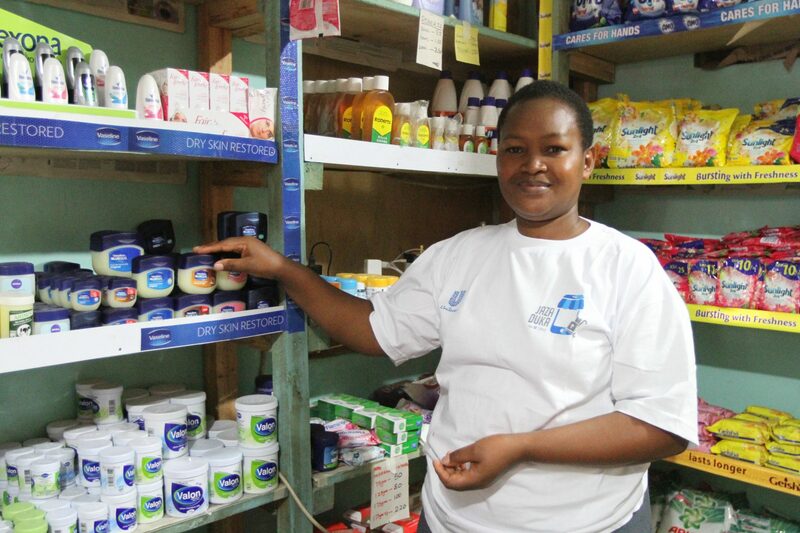 To be eligible for enrollment into the program, a store should have stocked and sold Unilever products in the past. The distribution data from Unilever and additional analysis from KCB will determine credit eligibility. Once the credit line is approved by KCB, they will receive money via a Mastercard digital payment solution. The store owners also receive training funded by Mastercard’s philanthropic arm, the Centre for Inclusive Growth, on the importance of using credit responsibly. 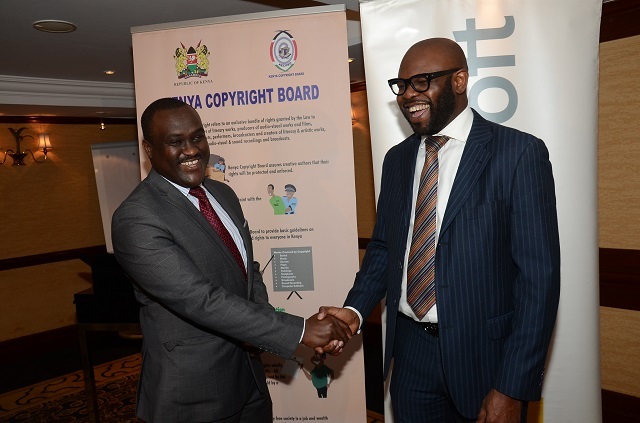 After an initial phase of face to face training, during which 5000 stores were trained, a digitally scalable mobile based training programme, provided by Arifu, a Nairobi based company, was released in December 2018. Already, 5000 retailers have access to this free training and this is set to rapidly grow. “Providing access to credit is an important enabler of growth for these micro retailers” says Adam Jones Mastercard Head of East Africa Region. “But Jaza Duka stands out because of our equal focus on retailer education. Understanding how to use credit responsibly is just the start. Over time this training will equip retailers with a range of skills to help them grow their businesses”. “There’s an opportunity to set these businesses up for long-term growth by bringing together the tools and data from different industries to change the model of small business financing. We see this partnership as a big plus in boosting our role as catalysts of trade and doing business in East Africa,” said KCB Bank Kenya Head of Channels Dennis Njau. “This is part of our commitment to simplify and transform the lives of our customers to enable their progress,” she said.